I arrived at Doms just before 8am. The tun was already being filled with hot water ready for the first brewing stage of the day. The first thing that hits you is the overwhelming smell. that brewing smell of hops. Another deep breath was in order. My visit to the brewery would turn out to be somewhat of an education in the art of brewing. I knew nothing of the brewing process prior to my visit other than some of the ingrediants that generally go into beer. Dom would run through the whole process for me that morning but I must admit I did get a little lost with the chemistry of it all. Sugars, yeast levels, ABV. All very puzzling at first but as the day unfolded I began to know a little more about making beer. Well, I think I did. Doms beer related background prior to Dynamite was basically running and managing pubs, restaurants and even a nightclub. 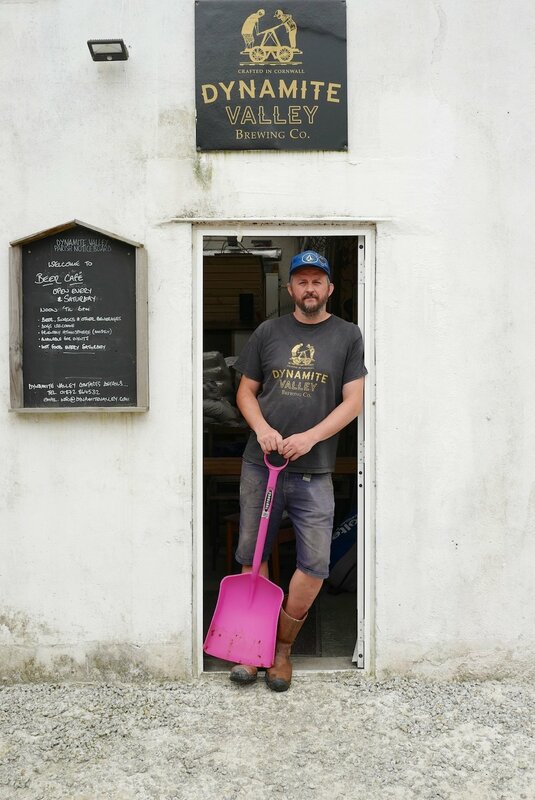 "I never intended to be a brewer, through years of serving it and having it served to me, I thought it might be a good idea to 'cut-out-the-middle-man', so I became a brewer". He finished working behind bars when he got offered a job at a local Cornish brewery over in Falmouth. From there he started to pick up some basic brewing knowledge from their brewer. 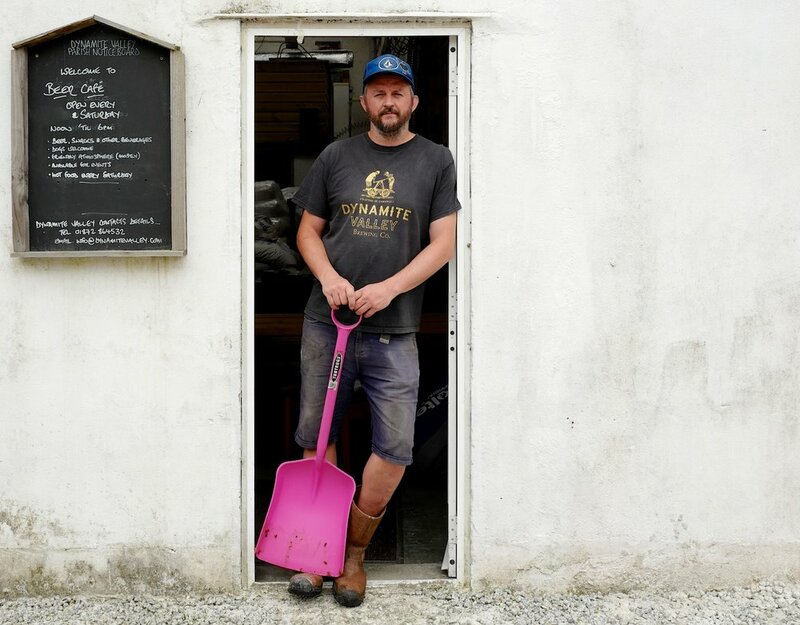 Some time later that brewery went bust and it was at that point Dom decided to set up Dynamite brewery. That was back in 2015. Since then, Dynamite Brewery has been going from strength to strength. A highly competitive world throughout the UK and even more so here in Cornwall. Micro breweries are popping up on a monthly basis. The investment to set up one of these breweries can be massive. That doesn’t mean to say that investment turns into a successful beer, that’s down to the individual behind the brewery. Clearly in Doms case he’s doing something right.